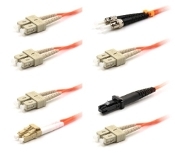 LC Multimode 62.5/125 Cables with all types and variations of connector options. SC Multimode 62.5/125 Cables with all types and variations of connector options. 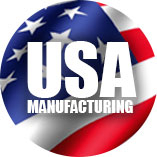 ST Multimode 62.5/125 Cables with all types and variations of connector options. 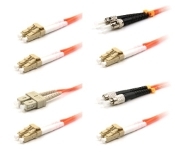 FC Multimode 62.5/125 Cables with all types and variations of connector options. MTRJ Multimode 62.5/125 Cables with all types and variations of connector options.